All 16 to 19-year-old students are expected to take a study programme which reflects their prior attainment, education and career goals. Some learners with an Education, Health and Care Plan may continue to pursue their study beyond the age of 19 if they are still progressing and need further time to work towards their planned outcomes. Study programmes should stretch and challenge students, prepare them for adulthood, and support their progression into work or further study. Programme content and structure will vary from one student to another. 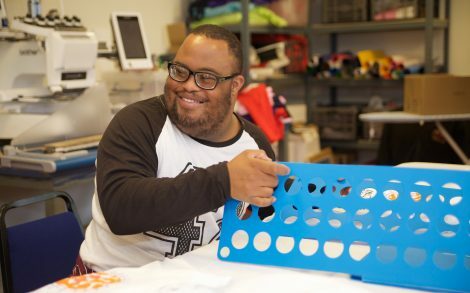 For some students with learning difficulties and/or disabilities, their programme will include qualifications; for others it may concentrate on high quality work experience and other non-qualification activities that will help them prepare for employment and/or adult life more generally. Study programmes should always include English and maths at an appropriate level. Some students with learning difficulties and/or disabilities will work towards achieving GCSE grade C or above, whereas others may qualify for exemption from this condition of funding and instead focus on gaining those maths and English skills which are relevant to their aspirations. Study programmes are an excellent vehicle for providing personalised learning programmes which enable each student to progress from their individual starting point to their chosen destination. Natspec led a project in 2014/5 which explored how developing the active learning skills of students with learning difficulties and/or disabilities could help providers personalise study programmes more effectively. There's a wide range of information and guidance available about design and delivery of study programmes.